Nerkonda Paarvai is the official Tamil remake of the movie Pink, with the original Hindi version having Amitabh Bachchan and Taapsee play the lead roles. This Ajith starrer will be directed by H Vinoth of Sathuranga Vettai and Theeran Adhigaram Ondru fame, and produced by Boney Kapoor under the banner Bayview Projects LLP. Apart from Ajith, it will have Vidya Balan, Shraddha Srinath, Andrea Tariang, Rangaraj Pandey, Adhik Ravichandran, Abhirami Venkatachalam and others playing crucial roles. The film is slated for a release on August 10, 2019. 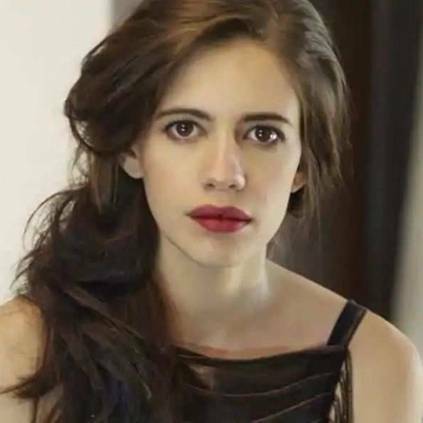 The latest update about this project is that, Bollywood actress Kalki Koechlin will be making an appearance in a rap song in the film. The song will also feature Ajith, Shraddha Srinath and other stars. The song has already been shot, and the film's shoot has also been completed. Just before the release of this film, Ajith will start working on Thala 60, his next film that will also be produced by Boney Kapoor. Stay tuned for more updates! People looking for online information on Ajith Kumar, Boney kapoor, H Vinoth, Kalki Koechlin, Nerkonda Paarvai, Vidya Balan will find this news story useful.